These beautiful bags are sure to spread some Christmas and holiday cheer. Using soft white LED tealights or candles can offer a warm yellowy glow. 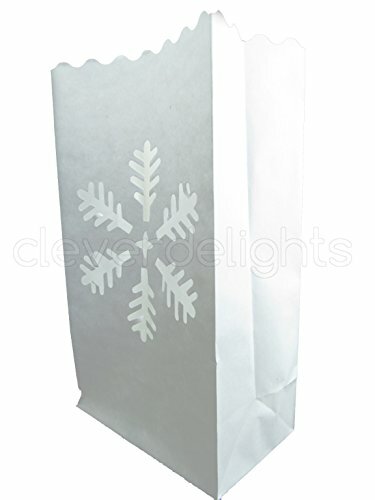 Or use color LED lights for to make your bags glow fun Christmas colors. Tip for outdoor use: add a small amount of sand or rocks to the bottom of each bag so they don't tip over in the wind.